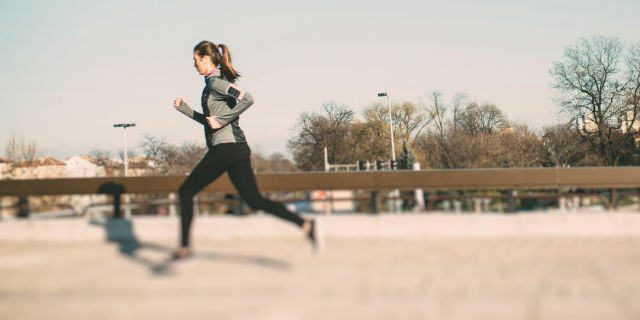 Race season is nearly upon us, and with huge events like the London marathon just around the corner there's no doubt that thousands of people up and down the country are beginning to up their training routines in the hope of nailing a new PB in an upcoming event. However, whilst increasing your mileage in the run up (see what we did there?) to The Big Day will no doubt help increase your stamina and provide you with the sheer determination needed to finish a long-distance race, it might not be the most effective way of achieving your goals. We spoke to Amy Costello, head trainer at the Tottenham Court Road F45 studio, about how incorporating cross training into your race routine could make a huge difference to your performance. You'd be forgiven for focusing all your efforts on clocking up the miles ahead of a big race, especially if you are training for a distance you haven't completed before. But this is a habit you should try and avoid, says Amy. "Most long distance runners, at one point or another, are guilty of becoming a 'mile junkie'. Feeling as if you should be running an endless number of miles, is an easy trap to fall in to when preparing for a long distance race. However, cross-training is the most effective way of becoming a stronger runner whilst staying injury free, and should be an integral part of your training." "[The workouts] are designed by a team of sports professionals and athletes for ultimate results in burning fat and building lean muscle. The functional movements that are engrained within F45's training philosophy are often sports-specific and encompass mobility, strength and posture, which are all key aspects of becoming a strong, successful runner. Additionally, the workouts vary every day, providing a welcome relief from the often monotonous task of long distance running." "Cross-training will enhance your efficiency as a runner, increase your power and strength, and allow you to train for longer or more frequently without injury or fatigue. Also, giving your body a rest from running relentless mileage by focusing on a different discipline will allow for greater training volume whilst avoiding burn out." "Stick to long, steady runs to develop your endurance and to prepare your body and mind for pounding that long race course. Develop your speed using interval training runs and sprints, and throw into the mix some interval based circuit classes." We know cardio is good for burning calories while you exercise, and one of HIIT's best selling points is that it continues to have an effect even after you've finished exercise. But where does weight training come in? And should it be included in race training? According to Amy, it is essential. "Aside from the cardiac benefits, weight training will also help with increasing your muscular endurance, which is KEY for all races! 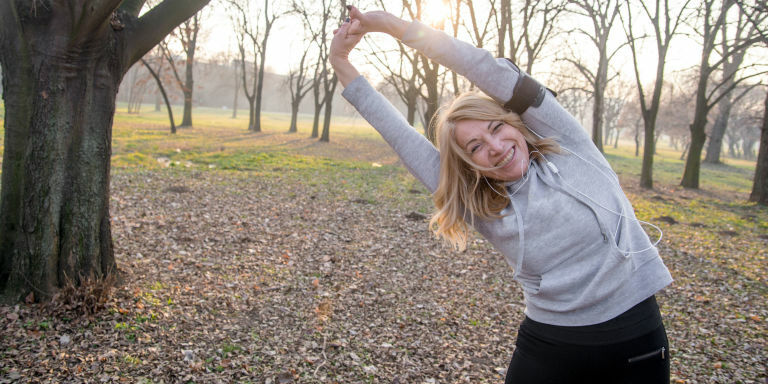 Your body is extremely efficient at adapting to new stresses meaning that in short periods of time (1-2 weeks) you can find yourself beginning to achieve new levels of fitness." 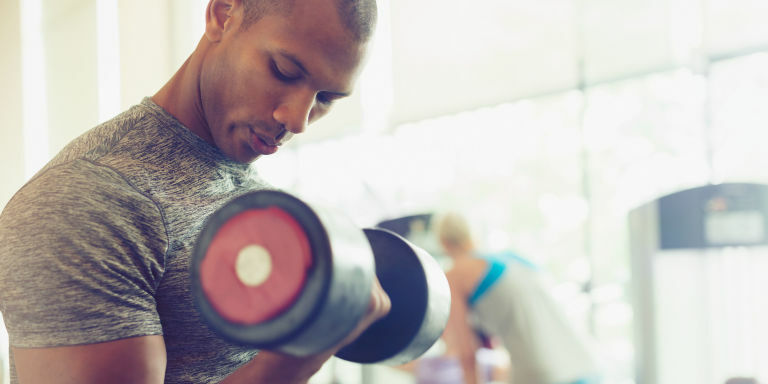 Remember: weight training doesn't have to mean spending hours in the gym lifting dumbbells over your head or bench-pressing your own bodyweight. It can be achieved through small changes or additions to your routine. "Weight training or ('resistance training') refers to all exercise where you're producing a movement with weight that is in addition to your own body weight. For example, this could mean running with a weighted backpack, or with weights on your ankles." Don't skip the speed or strength work. No, hill sprints and stairs drills aren't fun, but they are extremely effective when it comes to hitting PBs. Build adequate rest and recovery time into your training. The default approach is to train as much as you can, but remember that overtraining is the worst possible preparation for a race, and will only hinder your performance or put a stop to it altogether. Build your mileage and cross-training steadily and gradually as you delve into your training plan. Then taper effectively in the last few weeks before race day, using this time to focus on appropriate rest, nutrition and hydration.